Closed weekends & most holidays. We Do Not Ship outside of the Continental United States of America, NO Overseas Sales of Military Vehicles or Parts, period. Visa and Master Card accepted. Add 3% for purchases over $500 total. Purchases may be taxable. The Idaho Motor Pool Military Show is Coming June 07 and 08! M1031 CUCV 1986 Maintenance Truck . Chevy, 6.2 V8 Diesel, Automatic Transmission, 4X4 With High and Low Transfer, Power Steering, Power Brakes, Heater, 10 Kilowatt Generator, Air Compressor, Low Low Miles, Very Nice, Drive it Home. $7,500. 1945 Ford V8 Pickup CONSIGNMENT - Fully Restored, Runs Great and Good Brakes, New 6 Volt Battery. Drive it Home. Price on Request. 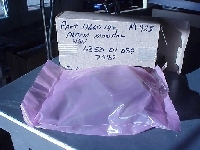 M1078 Stewart Stevenson Need Stewart Stevenson M078 Parts? Better Hurry, They are Going Fast. 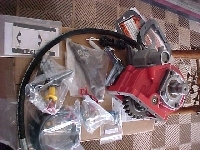 There is Still a Nearly New CAT Engine, Transmission and Transfer Case. Parting Out the Whole Stewart Stevenson M1078, Low Mileage With New Cat 3116 Turbo Motor. BTW: M35s are now a lot harder to find than an honest politician. HEMTT MK Trailer for the Heavy Expanded Mobility Tactical Truck (HEMTT), 20 Foot Long x 8 Foot Wide, with Air Brakes, Two Driving Axles, Two Tool Boxes, Good Tires. $1,950. M105 2-1/2 Ton Trailer Most are Very Nice Condition and Have an Idaho Title. 9.2 Foot Long Bed, 6.2 Foot Wide, 2,750 lbs With Racks and Cargo Cover. $1,300 WITH COVER, $1,100 WITHOUT Cover. M116a3 1 Ton Military Trailers Have a few in stock, in decent condition. $950 and up depending upon condition and options. 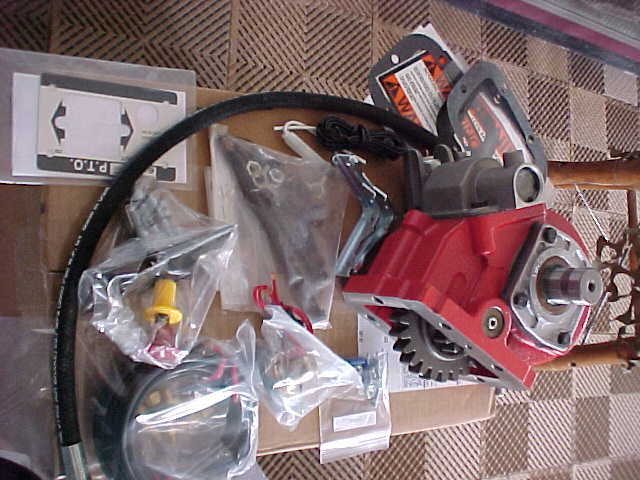 M936 Series Transfer Case Transfer Cases for M936 Series Trucks, Used, Like New Takeouts, Large Quantity in Stock $1750 Each or Discount for Multiple Purchases. M923 Radiator Used, Take-Out Radiator's for the M923 Series Truck, In Good Condition. $350 Each. 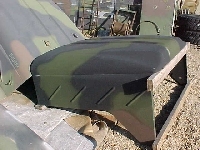 900 Series Hood and Transmission 900 Series Hood - $800. 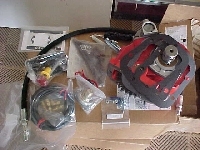 Series 915 or 916 Takeout Transmission - We Only Have One Available. 1600x20 Michelin Radial Tires And Used Just In, 150 Michelin Radials, Size 1600x20 at 85% to 90% Tread, $350.00 ea. Also a Few New/Unused Available - Inquire on Availability and Price. HMMWV Tires & Wheels Just In, 37x1250R16.5 Radial, 8 lug, Take-Off/Used as Shown. Inquire on Availability and Price. 900x20 NDCC Combat Tires With 6 Hole 2-1/2 Ton Wheels New Shipment of 900x20 Combat Tires With 6 Hole 2-1/2 Ton Wheels From $60 to $150 ea. LED Marker Lights - NEW Just In, New LED Marker Lights - Red or Amber. $22.95 Limited Quantities. 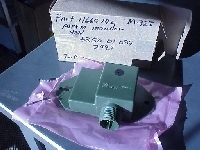 Power Take Off (PTO) Units Brand New Power Take Off Unit for 900 Series Trucks With All Controls. 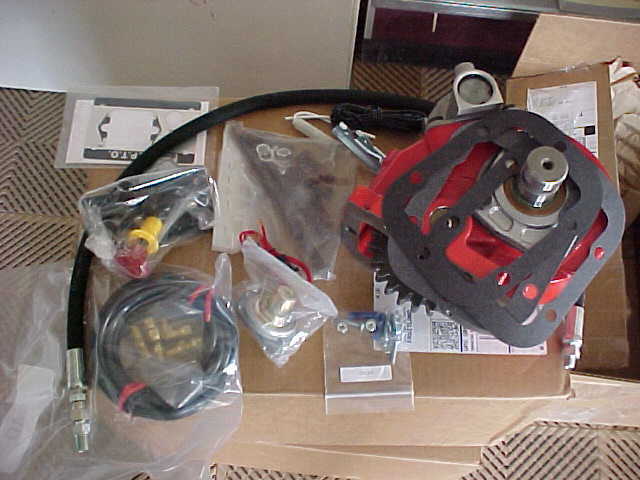 Can Be Used With the Hydraulically Powered Front Winch Shown Below. WARNING! Be Advised That Some After Market PTO's will Require Cutting the Truck Frame, Ours DO NOT Require Cutting. Why is cutting a frame a bad thing? Frames are heat treated to provide additional strength. Cutting destroys the heat treating process. 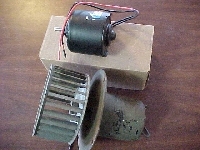 Can Be Used With the Brand New Power Take Off Unit Shown Above. 24 Volt Fuel Shut Down Valve New in the box, 24 Volt Fuel Shut Down Valve #4810-01-187-4925, needed on all 800 & 900 series Cummins 250 motors. $55 Delivered within Con USA. Cummins Block Heater For 900 A 2 Series 8.3 Cummins Motors $ 95.00. Delivered Continental US. $95. Cummins Fleetguard 1500 Watt 120 Volt Block Heater New in Box. 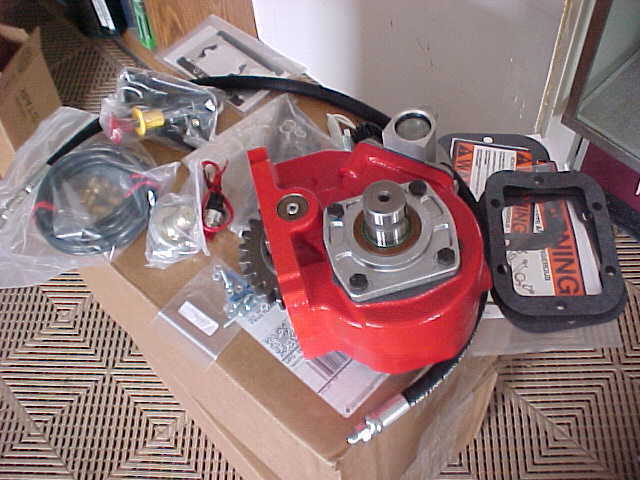 Fits all 800 & 900 Series Trucks with the NHC 250 Engine. Delivered Continental US. $88. New Fiberglass Hardtops for 2-1/2 Ton, and 5 Ton Military Trucks. $750, or $650 with purchase of truck. Local Pickup only. We now have 900 5 Ton Series Tops in Stock $950 ea. We cannot ship this. Way too labor expensive to crate it up, plus shipping via truck will also cost a bunch. PS 28 Multifuel Operator.PDF, Free Download of PS 28 Operators Manual. 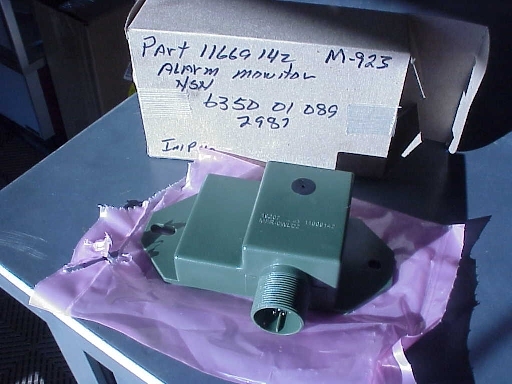 M35a2-Series Truck Parts Cross-Reference can be found on Mark Green's website. All photos are ACTUAL PHOTOS. We always try to select a photo which best fits the condition or description of the item for sale. Minimum Order Amount to Ship is $100 before shipping charges or tax is added. You will be charged $100 minimum, even if your order is less then $100. COD'S: We don't do COD. LAYAWAYS: Yes we do LAYAWAYS. You'll need 25% down to hold it for 90 days. We do not charge any type of service fee or interest while its on hold. CREDIT CARDS and DEBIT CARDS: VISA, and MASTER CARD only. SALES TAX: If we ship to an IDAHO address, we must charge you. SHIPPING and HANDLING: Shipping and handling charges are for exactly what it costs us to get it to you. 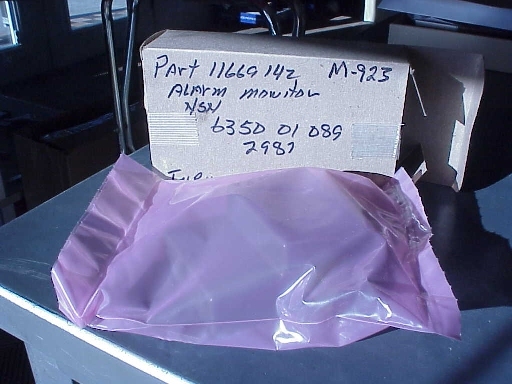 Please advise us if you have a specific carrier in mind or desire special handling/packing. Otherwise we will ship best way which usually means cheapest.